In response to one of my recent articles I was recently sent a nice note and an inquiry from a gentleman named John from the UK who has been involved in martial arts for over 60 years. I took his indirect question/statement to be an inquiry regarding how I had come to be attacked so many times that involved really bad life and death circumstances. I have been attacked in a life and death way a little over 15 times. I think his is a very fair question and I sent him an answer and after thinking about it I thought others might benefit or want to know the same information. So, I have copied the answer here with some Politically Correct editing and a little additional info. I have been an avid student of the martial arts for over 30 years and got my start out of necessity because I lived in the absolute worst inner city neighborhoods. I was a lilly white skinned and reasonably good kid that stood out like a sore thumb in my neighborhoods in the 1970’s. At that time in the areas I lived in there were entire families dealing drugs and if you got into a disagreement or an altercation with any one of their family members then they would all come gunning for you. Also, druggies would look to do whatever it took to get a couple of dollars so that they could buy more drugs and they would attack other people in the neighborhood (if their intended victim was alone) while they were high or coming off of the drugs and geeking for more. It did not matter to the addicts if they really hurt you and they were only interested in getting high again as soon as possible. The first time I was seriously attacked I was only nine years old. I was walking up and down the street in broad daylight selling school booster candy and had an envelope that I put the money in. Two teenage boys (who were each noticeably larger than me) walked up acting like they wanted to buy some candy. When they got close to me they each stood in a way so that we looked like we were having a private conversation between the three of us and someone from the outside trying to look in could only see our backs and not see what was happening in the middle between us. One of the guys pulled out a knife, pointed it at my throat and told me to hand over the candy and the money or he would stab me. I handed them the stuff and they told me to turn around and walk away as they backed off and quickly went the other direction down the street. To make matters worse, my family bought a house in what started out as an okay section of town that transformed to an inner city crime area within a few years from the time we bought. When the neighborhood changed we could not sell and move because the property value had been destroyed so much that we could not afford the financial loss. The neighborhood got so bad that within 4 square blocks there were more than a few murders committed over the years and my dad kept a handgun for home security that he had to use more than once. At this point we were a definite racial minority in the area and several of the attacks I experienced were most likely racially motivated where literally a car full of people who had a different skin color than me saw what they probably thought was an easy opportunity to commit a hate crime and get back at a perceived racial enemy for injustices that have occurred in America over the last 200 hundred years. One of these attacks happened while I was on the job at a movie theater where I worked. I was walking beside the building from the front to the back and the attackers pulled up in a car and called out the window to me asking if I had a dollar. I told them “No, I didn’t have any money on me” and they said “I can hear that change rattling” and stopped the car and began piling out. There were four or five of them. I can still hear the crunch of the impacted snow as the car came to a stop. One of the assailants was so large that he had to duck to get out of the car. Anyway, I had been studying the martial arts for over 8 years at this point and I seriously and quickly considered stomping the closest door and trying to injure or take some of them out before they could really get moving out of the car and then I could run for it if I needed to but instead I decided to try an exit door that the theater employees sometimes propped open so that we could get into the theater faster from the back. Fortunately, the door was propped open. I stepped inside, popped the latch back into place and ran and told the theater security guard. The security guard was standing in his usual place inside the lobby all warm and cozy talking to the concession stand girls. We could hear the attackers pounding on the exit door as I hurriedly explained to him what had just happened. By the time I explained everything the pounding had stopped and the security guard ran out the front door and around hoping to get behind them (or so he said). By the time he got to the exit door the attackers were busy speeding off in their car. Of course, some of the attacks I have experienced were in what most people would call obviously bad places at obviously bad times. It is easy for this to happen when you are in your late teens and live in a crime ridden area. Anyway, fortunately I grew up, graduated from college and got out of those neighborhoods and it has been quite a long time since I have had to physically fight for my life. 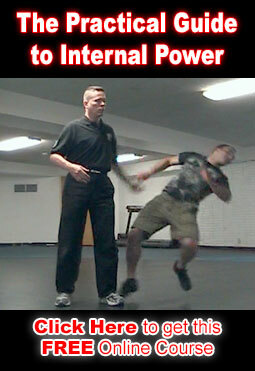 The fortunate benefit to me and my students is that whenever I look at self defense and martial arts techniques I look at how effective a method is based on some of the scarier situations I have experienced. If the technique or method would probably fail the reality test then I simply do not study it for self defense reasons. I do study various arts and methods for other reasons than self defense but I try to do so with very open eyes about my objectives and rationale for what I am doing and always with at least some aspect of what I am doing adding to my ability as a true self defense practitioner.